For people wondering what does BREXIT mean, It is actually an abbreviation of “British Exit” and refers to the possibility that Britain will withdraw from the European Union. The country will hold a referendum on its EU membership on June 23, 2016. “I’d be devastated if Brexit happened. I hope sense prevails in EU vote”, says Richard Branson, founder Virgin group, to Bloomberg. Many celebrities like Benedict Cumberbatch and Keira Knightley, popular British exports to USA’s Hollywood have come out openly to oppose Brexit. There are many who are coming out in support of Brexit like British Indian MP from the Conservative Party, Priti Patel, who believes that Britain as a part of EU had been restrictive in their hiring strategy from outside EU. European Union, popularly known as EU, is an economic-political union of 28 member states that are located primarily in Europe, and is headquartered in Brussels, Belgium. EU’s basic ethos was to make “war unthinkable and materially impossible”. In 1992 the Maastricht Treaty or the Treaty on European Union, signed in Netherlands, helped create the European Union. 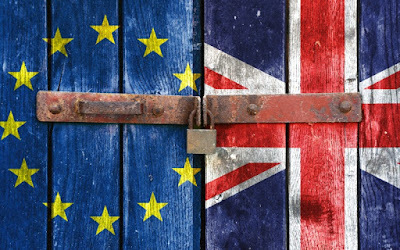 Since its signing of the EU Treaty and even before that when Britain had joined the European Economic Commission in 1973, there have always been debates within the country about the utility of being a part of the EU. Both the Labour and the Conservatives (the 2 main political parties in Britain) have often debated within and amongst themselves on the continued membership of EU. The current Prime Minister of Britain, David Cameron, from the Conservative party had promised before the 2015 elections that, if brought back to power would facilitate a referendum on Britain’s EU membership. However Cameron after his negotiations in favour of Britain, with Donald Tusk, the European Council President, did speak for remaining in EU or “Britain remains” (Bremain). Some of these concessions include enhanced recognition of the Great Britain pound, and "red card" system that would allow a bloc of EU parliaments to block legislation from Brussels. The British public are fairly evenly split and about half of Conservative party MPs are in favour of the Brexit. Bank of England’s Governor, Mark Carney, says that Brexit would be the biggest domestic risk to financial stability. Then again there are the opposers who believe that Brussel’s bureaucracy is a drag on British economy. The flavor of the world is such that economies want to step away from solidarity and community, according to theguardian.com. The bolts of the union are loosening and crisis of governance is emerging. A Brexit would mean the European Union may also look at disintegration.